The Keuffel & Esser 71-5100 Spherical Adapter with Collet is a precision ground sphere ground to a diameter of 3-1/2". Using a tapered sleeve collet, this can be tightened down to clamp the barrel of any A.I.A compliant telescope with a 2-1/4" diameter barrel. 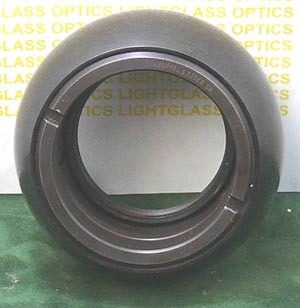 Using a K&E 71-5101 target stop ring in this Spherical Adapter allows you to mount targets or a lamp housing.